Salisbury University hosted it’s annual Gullfest concert on Sunday, featuring headliners Jessie J., MKTO and Mac Miller. Kicking off the concert was pop-musical duo MKTO, the artists featured vocals from Tony Oller and rapping from Malcolm Kelly. They sang a variety of songs from their debut album such as their major hits “Classic” and “American Dream,” they also sang new songs from their upcoming album. “Fight back and make a change” are the words many students kept in their minds during Salisbury University’s Relay for Life event Friday. Relay for Life is an organized, overnight community fundraising walk in support of the American Cancer Society, which funds cancer research. Thousands of students at Salisbury stayed awake for 12 hours in support of this cause, raising a grand total of $107,151.56. Students at Salisbury University will embark on a journey to end bullying this week as the Student Government Association presents their annual Stop Hatin’ Week. Stop Hatin’ Week is filled with events carefully planned by the SGA. These events celebrate and highlight the importance of campus diversity. The first event was the “Love is Louder” campaign. Students were challenged to come to the Fireside Lounge and fill in the blanks that said, “Love is louder than _________” and “I stop hatin’ because _________.” They then had their photo taken with their written message. School spirit will be in full force next week as Salisbury University gears up for it’s annual Homecoming Week celebration. SGA Vice President of University Affairs, Sarah McCullough is excited to be planning this year’s homecoming at the University. The power of social media has been realized once again and a tragedy for many has turned into hope. 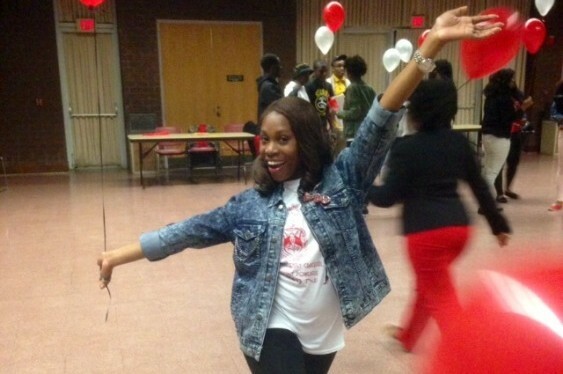 After a tragic accident early Sunday morning which killed recent Salisbury University graduate Janelle Oni, friends and sorority sisters (Delta Sigma Theta Sorority Inc.) of Oni’s teamed up together to launch a fund which helped pay for any funeral costs which her family will incur. The goal was to raise $10,000 but since Sunday, when the fund started, donations have soared past what organizers expected. As of late Monday night after 1,200 shares all over various social media sites, the fund has raised $11,154. Because GoFundMe, the site used to raise money, has no time limits; the campaign will most likely continue for the time-being. GoFundMe takes 5% of whatever funds are raised for their own operational purposes but they allow withdrawals to be processed at any time. Pulsefeedz was not able to get in contact with organizers at the time of this posting to learn what the next plan was for this process but many fellow sisters of Delta Sigma Theta Sorority Inc. have expressed their gratitude and appreciation on social media due to the kindness and generosity of 442 donors and counting. I’m so speechless. I’m so grateful. You guys cannot tell me that God isn’t real. If you didn’t know my sister, she was the epitome of selfless. She dedicated her life to God by giving and uplifting people. Her smile was contagious, and her compassion was incomparable. She lived and loved with her whole being. She was a role model and left a legacy of greatness on our campus and in our community. Your contributions mean so much to us. We thank each and every person who gave their time, money and sent prayers to support my sister, her family and community. We can never repay you but we pray that God bestows the best blessings in your life. May you all find comfort in knowing Janelle is in the best company and care with our Lord and Creator. MY TAKE: Social media has turned a mess into a message. The reaction to this unfortunate incident proves again that there is still hope for humanity. We still care and love one another even if we don’t know each other. Janelle touched so many lives and the outpouring of support has happened for a reason. What’re you doing to make an impact on your friends, your family and your community? As a friend and colleague, thanks for all the memories Janelle. We miss you already. Janelle Oni, a 21-year-old from Randallstown, Maryland was crossing the street on Route One in College Park, MD at around 3 a.m. when she was struck by a mini-van. The mini-van drove off but was eventually stopped by police two miles away from the scene according to WJLA. Oni was pronounced dead at the scene after paramedics tried to revive her on the spot. Her mother tells The Baltimore Sun that she was having dinner with her sorority sisters. Police stopped Luangraj after seeing damage to his windshield, glass in his lap and some of the victim’s hair wedged inside of the glass. He also failed his sobriety test. Since the beginning of UMD’s spring 2014 semester, five pedestrian accidents have occurred on Route 1. Of those five incidents, two have been deadly. This incident marks the third fatality on this road. 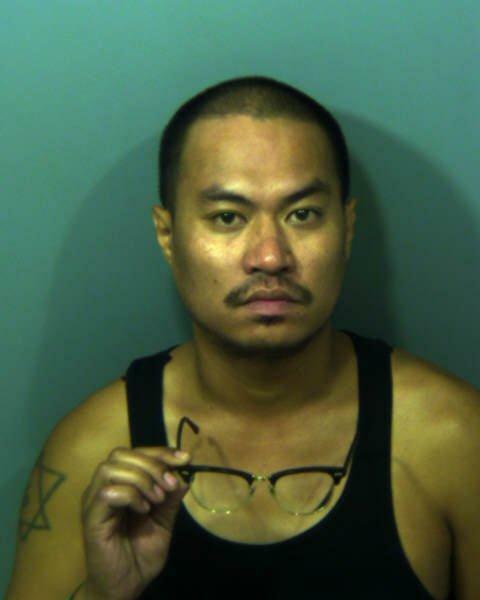 UPDATE – A mugshot of suspect Jacky Luangraj has been released by Prince George’s County Police. Luangraj was denied bond during a court hearing on Monday. 2nd UPDATE – Donors reached their goal of raising $10,000 for Oni’s family but are still accepting donations using the link above. An interim suspension has been set in stone for the Pi Sigma chapter of Kappa Sigma Fraternity Inc. after allegedly subjecting three women to “sexually graphic” behaviors. On Tuesday evening, a student organization participated in a variety show for an audience of fraternity and sorority members where female students on stage and other attendees were subjected to behaviors that many deem to be demeaning and sexually graphic. These incidents are taken seriously by Salisbury University. An investigation of the allegations has begun to determine the group’s and individual members’ responsibility in accordance with campus standards including the Student Code of Conduct and sexual harassment policies. The organization, Kappa Sigma fraternity, has been placed on interim suspension pending a full review, and its national organization has been notified. The University values each and every member of our community and expects behaviors that represent the campus, the organization and the individual to be at the highest levels. Actions that are found to be in violation of the campus policies will be dealt with appropriately and will not be tolerated. According to multiple sources, this happened Tuesday night during Greek Week at SU. Some new members of the fraternity called three random girls to the stage during a karaoke event. The members proceeded to simulate self-pleasure while spraying whip cream on the females. The chapter said in a statement that they would be suspending the members involved for at least one year. One of our sources says that the fraternity used chocolate as a prop last year to pour on themselves which could indicate that it may be part of a tradition to use props, although this is unclear. It is also unclear what the intent of the skit was. To join Kappa Sig, pledges must have a 2.3 GPA after 12 credits and “have a strong desire to be part of something greater than yourself,” according to their website. 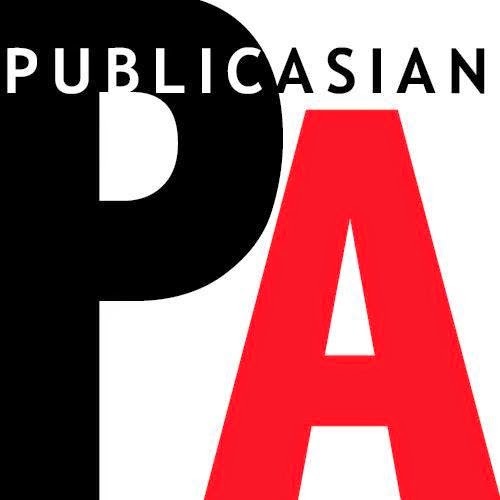 FULL DISCLOSURE: Jerrad Pawar is a friend and colleague of mine as well as an active member of Pulsefeedz. This interview was solely my idea and we have the Facebook chat history to prove it. Regrettably, I didn’t get a chance to interview opposing candidates. Evan Miller is also running for SGA President. Miller, a former SGA senator, is running because he “wants to represent the awesome student body that we are.” For more on Miller’s campaign, click here. Will Baron will also be opposing Miller and Pawar. Baron has been active with the SGA in previous years and was well-known for his work on improving campus sustainability. Jerrad Pawar, a junior at Salisbury University, joined me to discuss his bid for presidency of the Student Government Association. 1. 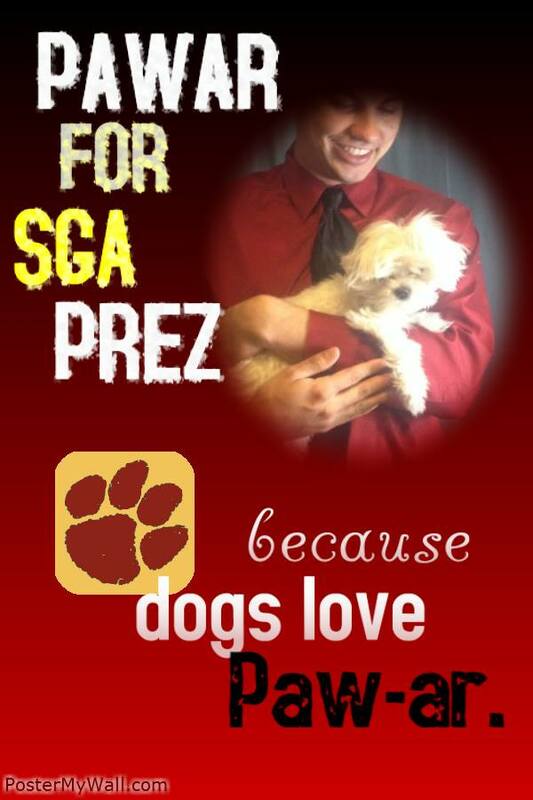 Your campaign slogan is “Pawar for SGA Prez: because dogs love Paw-ar.” But do dogs really like Pawar? How do you know this? Yeah, I’ve gotten a lot of flak for the campaign being corny, but it’s a serious position and I want students to know I’m a guy who can make fun of himself and not take everything serious all the time. As for dogs, I have two of them so I’m a big dog lover. I love them…I pretend to think they love me. 2. One of your campaign promises is for SGA to organize less events and handle more legislation. What’s wrong with SGA organizing programs though? How else do you get the student body excited and pumped to be Seagulls if you don’t organize events which get them involved on campus? I don’t think there’s anything wrong with us organizing programs I just think there might be too much of it. If you look around campus you see the parking garage, water re-fill station, and a smoke free campus, this was all done through legislation through SGA. Those are tangible changes that the students can see and I think we’ve gotten away from it. I’m not cutting programming, I’m just going to have a stronger focus on bills and legislation. 3. As a Greek, how can you assure non-Greeks that you won’t be biased towards Greeks or assure your rival Greeks that you won’t be biased against them? The way the SGA is constructed is that anything we pass, whether it be programming or legislative, must apply to all students. I want to make a positive impact for all students. While I am Greek, I’m also a participant of RSO’s. 4. What is the first piece of legislation you would try to get passed on your first day on the job? The first piece of legislation that I really want to focus on is parking, which I’ve already started doing some basic research for a bill. As construction on Caruthers continue, the university will lose some parking in the TETC area. There needs to be a short term fix for parking until additional parking comes in by the tennis courts. 5. In your pitch to the student body on Facebook, you said “if you saw the amount of money that was really just not spent or put to good use, you wouldn’t be happy.” Any examples? Programming as a whole can be very valuable. However, I feel like as a whole there’s a bit of over-programming. For example, we’ve had safety events where we’ve poured 500 dollars in an event where only 15-20 students show up. For that amount of money the impact needs to be greater. 6. Is there any legislation which another school’s SGA has worked on which you believe would be beneficial at SU? Yes actually, I’ve seen a few bike sharing programs be implemented through a few schools. For SU, where a lot of students use bikes to get around, I think it could be useful. An easy renting service for bikes could be a benefit for students. 7. A common complaint I’ve heard from minority students is that they feel ignored and separated from the rest of the campus. How do you plan on combating that? As a whole, SGA wants to promote student activity, especially with minority organizations. Salisbury University has diversified greatly these past few years. To support these organizations, we want their events and meetings to be more visible to the students. I’ve even brought up the possibility of putting a calendar on the front page of the main Salisbury website regarding just student events/meetings to increase awareness within the student body. 8. Having served on the previous SGA E-Board, what is something you’ve learned; something you really liked about what you did; and something you want to do differently? That experience is vital and it made me learn how to balance what the students need and what the administration needs. It’s all about meeting in the middle because in the end all parties involved want to improve Salisbury in any way we can. 9. Do you think the various Twitter accounts associated with the school give a positive or negative portrayal of Salisbury? I think it depends on whose viewing it. I think prospective students may enjoy it since it gives a little bit of insight on the social aspect of college. Their parents? That’s another story. All in all, I want to thank all the students who attend here, Salisbury wouldn’t be the same without its students. Thanks to all for their support! 10. Anything else you want to let readers know? I just want them to know that I’m very aware of there frustration with some of the issues at campus and I’ll do whatever I can do to alleviate these issues. Polls close on Friday at 5 p.m. Students can vote by clicking HERE. Salisbury University is currently on lockdown due to a manhunt for a suspect who is wanted for attempted murder of two police officers. The suspect, Edwin Lamont Fletcher, rammed a Wicomico Sheriff’s Deputy’s car in downtown Salisbury and fired shots at another officer according to WBOC-TV. 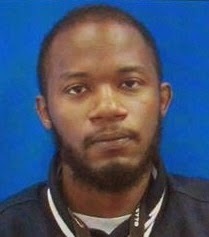 Police say Fletcher is armed and dangerous, they’re urging members of the Salisbury community to be cautious of their surroundings and stay indoors. The suspect’s name is Edwin Lamont Fletcher. According to WMDT, a Wicomico County Deputy and a Maryland State Police trooper are currently being treated for injuries that are not gunshot wounds. Salisbury on lockdown. And im not with my bae 😢. Not cool. UPDATE 10:32 p.m. – Fletcher was last seen in the area of Camden Ave. and Ohio Ave. according to WBOC-TV. DelmarvaNow is also reporting that Maryland State Police has taken the lead in this case. Multiple agencies including the Salisbury Police Department are also involved in the manhunt. 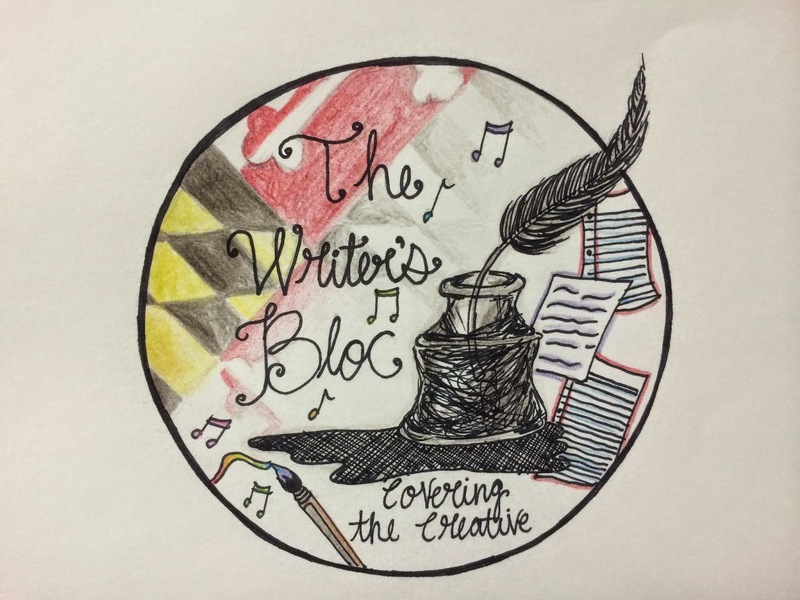 UPDATE 11:11 p.m. – Despite being told in a school alert to stay indoors, students at Salisbury University’s Blackwell Library were told to leave the premises immediately. Salisbury made us evacuate the library at 11 at night because apparently were safer walking/driving to or respected homes versus staying in a secur building with police people all around the only entrance and exit. I’m sorry this makes no sense. Salisbury University has issued an all clear and the emergency alert is now over. Salisbury University’s football squad will be joining a new conference beginning in 2015. The two-time Empire 8 conference champions will be joining the New Jersey Athletic Conference alongside Frostburg University and Wesley College among others. With this move, Salisbury’s football team won’t have to travel so far to play conference away games. In the Empire 8, many of the teams are based in upstate New York which meant that some trips could take 8-10 hours. The team will also be able to keep it’s Regents Cup rivalry vs. Frostburg and will face tougher competition than it ever has before. The Seagulls are 33-38 vs. teams from the NJAC. All other sports will stay in the Capital Athletic Conference. MY TAKE: A huge majority of out of state students who attend SU come from the New Jersey area (including our very own Jerrad Pawar) and this move will help SU recruit even more New Jersey natives by raising awareness about the school in the state. It’ll also be advantageous to Salisbury students from N.J. who’re eager to support their school at football games during winter break but can’t do so because of the distance. SU football away games in New Jersey will bring a little college flavor close to home.